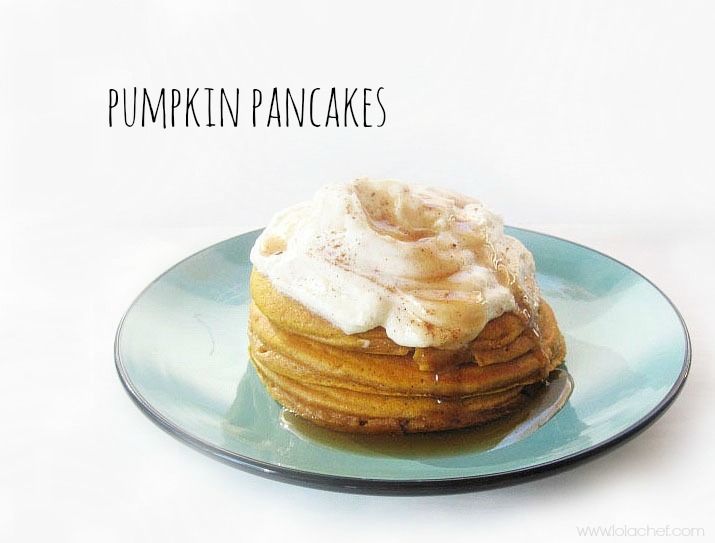 Fluffy moist pumpkin pancakes that are full of fall flavor….yes please! These pancakes are topped with a whipped topping with extra brown sugar then maple syrup is drizzled on top! Pumpkin plus added spice in the pancakes tastes amazing. If you have only used a pancake mix before, it’s time to try to make them from scratch yourself. Try it a few times, then go back to your box and see which you prefer. It’s actually easy to get the right kind of pancake you prefer. If you like thick and fluffy pancakes don’t put too much milk, if you like them thinner add more milk to batter…..pretty easy. Think of it this way, you either open up a bag or container of flour or your box mix….not that different. Here are a few tips that I have found to help a successful pancake. The temperature of the ingredients is key. Using room temperature butter, eggs, and milk will help the pancakes rise. Don’t over mix the batter, no matter how much you want to keep stirring! Pancake batter should look lumpy and gross……have trust they will turnout great! You can really make them any flavor you want. I usually add any dry flavor or spice such as, chocolate powder or cinnamon to the flour mixture baking powder and salt,and whisk. If I use cream cheese I substitute and add with butter. I can’t wait until the holiday season, I want to try gingerbread pancakes. 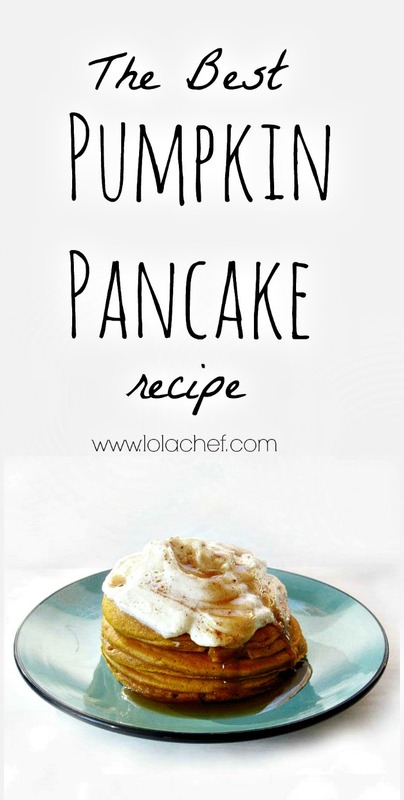 A delicious spin on a regular pancake recipe. In a medium bowl whisk flour, salt, baking soda, baking powder, cinnamon and nutmeg then set aside. Butter, cream cheese, eggs and milk can sit out for a few minutes to warm up to room temperature. In a mixer place cream cheese first (preferably room temperature) and mix on medium speed to smooth. Add butter and sugar, mix on low until blended well. Add eggs one at a time, then add vanilla and pumpkin. Alternating between dry flour mixture and milk, add to mixer on low speed constantly scraping sides. Don’t over beat, batter will be slightly lumpy. Preheat a stovetop flat frying pan or large surface, spray with nonstick spray and set heat at around 325 degrees. Pour batter to achieve desired size of pancake, let cook for a few minutes. When batter appears set on the edges and bubbles in the center you can flip over and cook the opposite side. Pancakes are done when they are cooked through. Adjust temperature of heat depending on each individual stove. Anywhere from 300 degrees to 375 degrees works well to cook thoroughly without burning. I use a large pancake griddle so you don’t have to make one at a time. Nobody wants to flip panakes all morning! These Pumpkin Pancakes tasted great with the combination of whipped topping and syrup….or whatever you can think up, go crazy! Here is the recipe for whipped topping, just in case you forgot it at the store. Place all ingredients in a chilled bowl with the whisk attachment and whisk on high until soft peaks form, usually about 3-5 minutes. Chilling bowl and mixer attachment helps form this into a whipped topping. Keep refrigerated until use. Let pancakes cool a little before adding whipped topping, or just add right before serving then top with maple syrup. These pancakes can be refrigerated for about 4-5 days, they reheat well and still taste great. Don’t forget, you can make a bunch and freeze individually, that way you have homemade pancakes when you don’t have a lot of time. I usually make a ton and save for the weekdays. It makes it easy for me to feed three kids breakfast at the crack of dawn before school starts. For more pumpkin see Pumpkin Cinnamon Rolls.